This project started with the desire to use the forms found in nature and apply them to our needs, capabilities, with imagination and innovative technology. It takes the idea from the observation of skeletons paleontologists and in particular of blue whales. These great ribs along with the vertebrae, they made me immediately think of a possibility almost natural transformation in a scale that can be a fixed pattern or articulated as the vertebrae in reality. The whale skeleton staircase demonstrates the ability of the design to draw on natural forms, biological in nature. 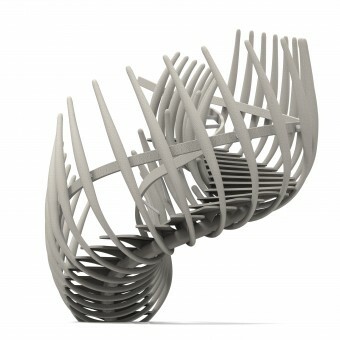 This staircase stands out the uniqueness of the form derived from the ribs and vertebrae stylized, transformed and domesticated if necessary, to revive in a suitable environment, all the power and the effect that it can create a sculpture of this kind. The project wants to expose the evolution of biological design for the service which can give to the community, for a new visual and tactile communication. This staircase is primarily designed for museums of paleontology or any location where to create a magnet for attraction. The material to be used is steel about to the supporting structure, holders of steps, handrails and the souls of the ribs, the wood or stone for the treads, wood or polyurethane foam or plastic materials such as ABS for the ribs, wood or plastic materials such as ABS for handrails and resin mixed with pumice powder or a powder of similar thickness for the finishing of the stair. For the workings can be used laser cutting and welding to the supporting structure and the technology for CNC milling steps, handrails, ribs. This concept was created with the desire to use the forms found in nature and apply them to our needs, functionality, with imagination and innovative technology. This project takes the idea from the observation of dinosaur skeletons, large extinct animals or especially of blue whales. 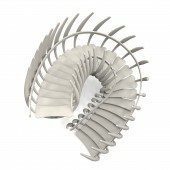 These great ribs along with the vertebrae, they did think about the possibility almost natural transformation in a staircase to fixed pattern or articulated, as the vertebrae are in reality. Try to turn a natural form, animal, biological, though seemingly simple, in a product designed for the human, is always a challenging process. But if the result is satisfactory, the human will be closer to the environment. We have to learn a lot from nature and now with new technology we can succeed in building from the infinitesimal small to enormously large. 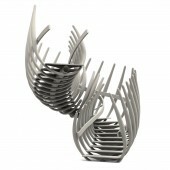 “Roberto Rossi Design” creates and designs new forms from an idea, a line or an unmet market need. In any context, any industrial sector. The philosophy of Roberto Rossi, designer, is the free spirit behind his solutions, is to leave space to fantasy and imagination to avoid preconceptual and déjà vu solutions. Once an object to be developed is identified, the work starts on the 3D software and continue with the engineering department and with the production of the prototypes, to end with the creation and production of the graphics and the marketing material for the campaign for the launch of the product. Roberto Rossi has collaborated with Studio Fuksas in Rome and Giorgio Armani in New York. 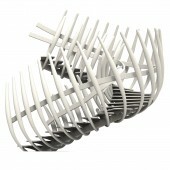 Whale Skeleton Staircase by Roberto Rossi is a Nominee in Limited Edition and Custom Design Category. · Click here to register today inorder to be able to view the profile and other works by Roberto Rossi when results are announced. 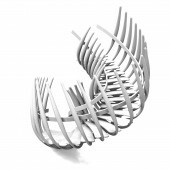 Whale Skeleton Staircase by Roberto Rossi is Winner in Limited Edition and Custom Design Category, 2014 - 2015. · Read the interview with designer Roberto Rossi for design WHALE SKELETON here. · Press Members: Login or Register to request an exclusive interview with Roberto Rossi. 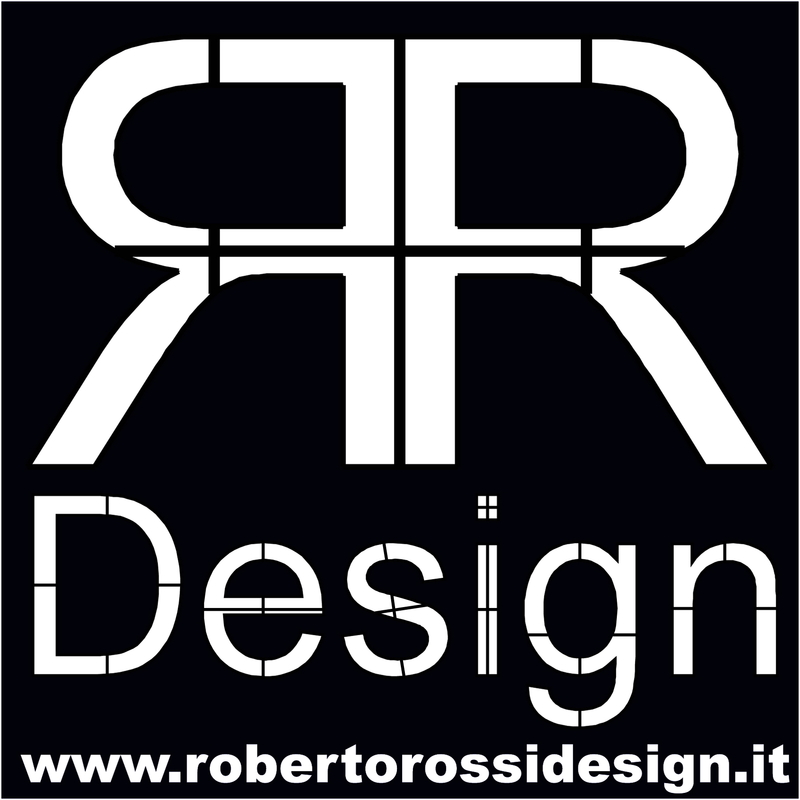 · Click here to register inorder to view the profile and other works by Roberto Rossi. Did you like Roberto Rossi's Limited Edition Design? Did you like Whale Skeleton Staircase? Help us create a global awareness for good limited edition design worldwide. Show your support for Roberto Rossi, the creator of great limited edition design by gifting them a nomination ticket so that we could promote more of their great limited edition designs.